Before Starbucks, before third-wave coffee, before 3-in-1 packets, even, Filipinos knew coffee. Coffee has been a major crop in parts of the Philippine since at least 1740, and Batangas was coffee central. 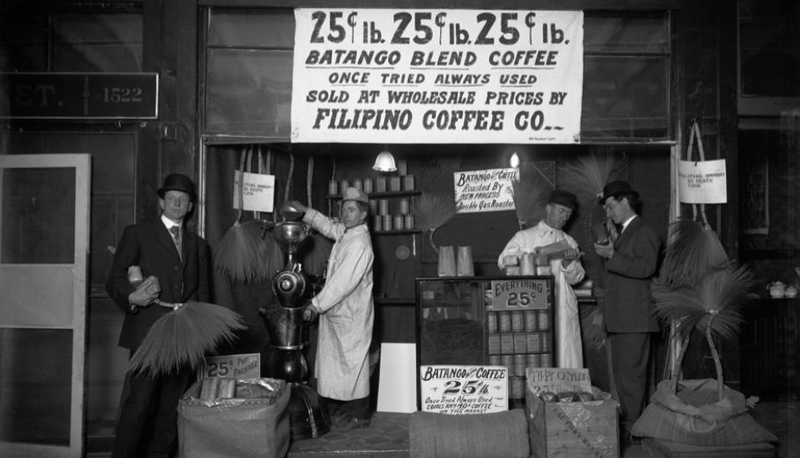 In fact, the Philippines was a major supplier of coffee to the United States by the 1860s, and "Batango" coffee (they probably meant barako) could fetch as much as five times the price of beans from neighboring countries. By 1880, the Philippines was the fourth-largest exporter of coffee worldwide, so it's no wonder our local beans ended up in the American coffee capital. This postcard from Seattle is a reproduction of a real photo from 1909, taken at Pike Place Market, one of the oldest farmers' markets in the U.S. If you can't read the sign, it says: “25¢ lb. 25¢ lb. 25¢ lb. Batango Blend Coffee. Once Tried Always Used. Sold at wholesale prices by Filipino Coffee Co.” The caption at the bottom places the scene at Pike Place Market. This was the postcard that Carmel Laurino, a Filipino-American then working on her undergrad thesis at the University of Washington, stumbled on to a few years ago. Carmel was so intrigued that, together with Lacy Audry, went on a trip four years ago through the Philippines to see at the present-day coffee culture in the Philippines. 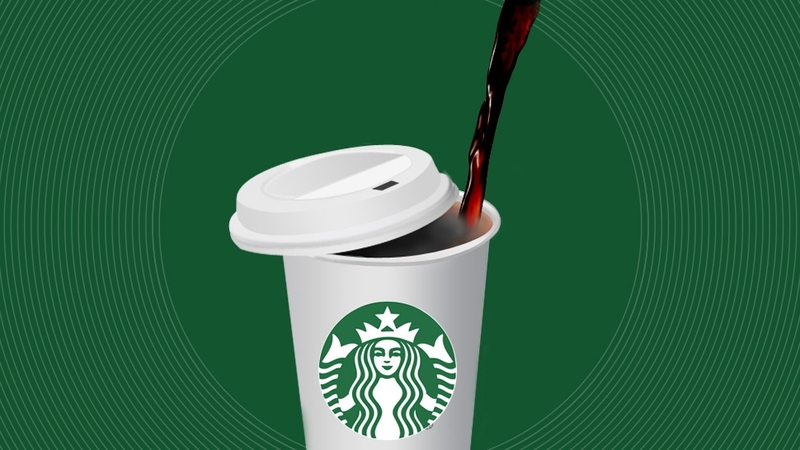 They interviewed farmers, gathered samples, and went to coffee shops. The dream was to present Philippine coffee to a worldwide audience once more, and to do it in such a way that it would improve the lives of the farmers and their communities. In three short years, Kalsada has become a leading champion of Philippine coffee both here and abroad. Working with coffee-growing communities in Benguet, and, more recently, from Bukidnon. Not only have they managed to start exporting their coffee to cafés in New York, San Francisco, Chicago, and to Seattle (of course), they've also taught coffee farmers how to raise the quality of their produce up to specialty coffee standards. Every bag of coffee that Kalsada produces bears the name of the farms from which the beans come from, in the same way that wine bears the name of its chateau, for example. This means that the smallholder farmers that Carmel and company work with are also able to charge a premium price for their coffee, which of course means better opportunities for the farmers. On top of that, Kalsada proudly notes on their website that they pay $1 more than generous Fair Trade rates, and invest in training and machinery in the farms. "I'm proud of the way the growing team here can be proud of their product they produced and champion," says Carmel. But more than that, the Filipino-American connection that she saw in the old postcard has been given new life, in the connections she's made through her work here. 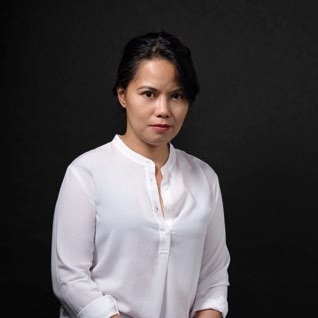 "I'm also proud of the way Filipinos abroad can connect to the Philippines. It's something I've been trying to figure out how to do. 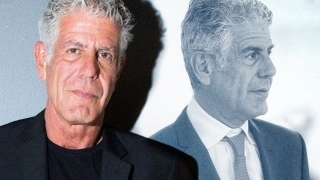 I've always felt a duality, having one foot in the Philippines and the other out, so Kalsada has been able to connect the two." Kalsada is available in the Philippines in Habitual Coffee, Brown Paper Project, Blocleaf, and The Den. Find it in the US in Mountain Province (New York), Brewpoint (Illinois), Hood Famous Bakeshop (Washington), and Café Red (Washington).